Keith Mooney, CERTIFIED FINANCIAL PLANNER™, on 401(k) rollover mistakes. As a respected and long-time CERTIFIED FINANCIAL PLANNER™ Practitioner, Keith Mooney has seen his share of clients making common 401k rollover mistakes. If you’re not careful, these errors could result in unnecessary taxes and early withdrawal penalties. 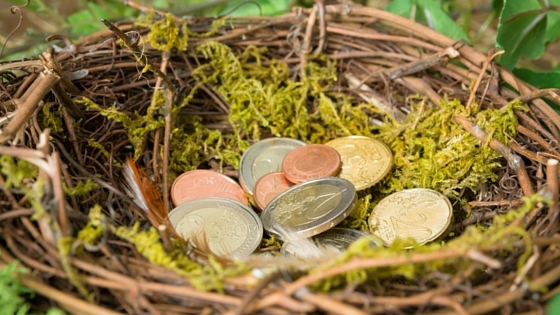 If you are considering moving your nest egg in the near future, read on to avoid the pitfalls (and associated costs) that come with an ill-planned rollover. • 60-Day 401k Distribution Rule—Once you receive the funds from your 401k, you’ve got 60 days to roll them over to another qualified plan if the distribution is made directly to you, instead of the rollover institution. If you don’t, the money will be treated as ordinary income by the IRS, so you’ll pay taxes on the entire amount. If you’re under the age of 59.5, you’ll also face a 10% penalty. • One-Year IRA Rollover Waiting Rule—Rollovers from a 401k in another IRA can only occur once per year. The waiting period is determined by the distribution date, not the date of the rollover. • Same Property Rule—You must rollover the same property from your 401k to your new IRA. Using your cash distribution to purchase other investments, then rolling them over, for example, will be treated by the IRS as taxable income. Although a knowledgeable advisor will know the rules and be able to guide you through your 401k rollover, it doesn’t hurt to be familiar with them, so you are prepared to ask all of the right questions when the time comes. If you’re really concerned about withholding and reporting requirements, a direct rollover is reportable and is not subject to taxes. Be sure to check with your plan administrator and the institution receiving the rollover to confirm forms and requirements for facilitating a direct rollover for you. You can also take a distribution from your traditional IRA, and roll it over into a qualified plan like a 401k. Before you make a move, check with your plan’s administrator to see if this is, in fact, an option. On our website at mooneylyons.com you’ll find helpful articles and insights regarding 401k investments. You’ll also have the opportunity to register for our private events so you can come and learn even more. If you have any questions, feel free to give us a call at 1-847-382-2600.